Melody and Peter Pan. Requested 의해 lubie-kisiel from Deviantart. HD Wallpaper and background images in the Young Heroines of 디즈니 club tagged: peter pan melody. This Young Heroines of 디즈니 fan art might contain 애니메이션, 만화, and 만화책. 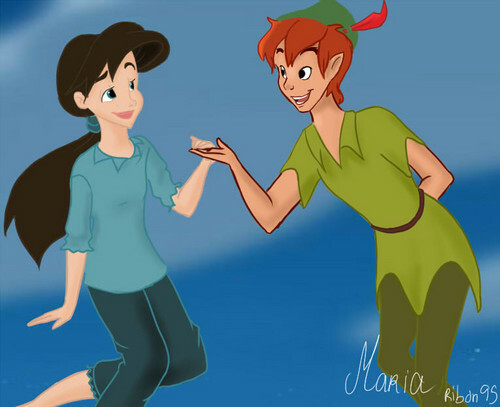 Hmm a Melody/Peter Pan couple? Never seen this one before. It's a good match cause Peter is close to Melody's age from what I'm seeing.